Heat the oil in a large saucepan and sauté the onion on medium heat until soft. Add the garlic puree and then the cumin, and continue to sauté the mixture for about 30 seconds. Add the turkey mince to the mixture and mix, breaking up the mince as you go along, until all the turkey mince is seared/browned. Add the carrot shortly afterwards, sautéeing the mixture for about a minute. Then add the rest of the ingredients one by one, mixing well with each addition. Once all the ingredients have been added to the saucepan, bring the mixture to a boil. Once it is boiling, reduce the heat to its lowest setting. 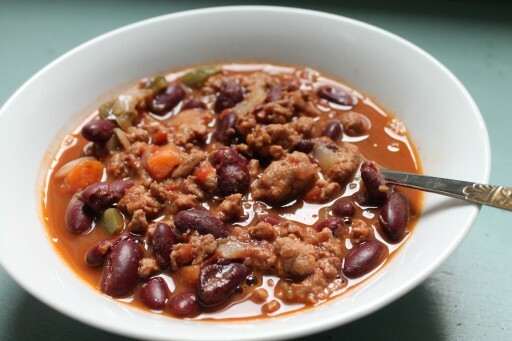 Cover the saucepan and simmer for two hours until the chili is thick and flavourful. Add more salt to taste, if needed. The flavours will develop over the next day in the fridge but it will still be delicious on day one! 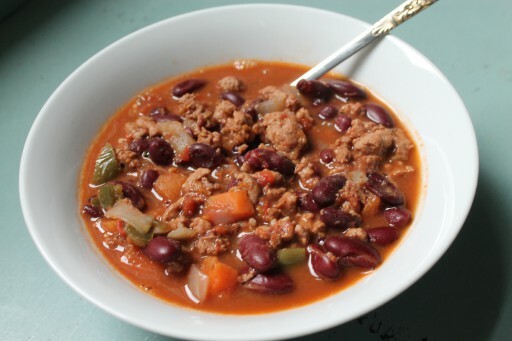 Enjoy in a bowl with grated cheese or sour cream or rice or all three!